Companies are now anxious to adopt all things “social” and launch a community to engage with customers and prospects. But as many of us know, you could select the best, industry-leading social business or community tool and your community could still fail. Why? As my InfoWeek blog “Who’s to Blame for a Failed Community” suggests, social software vendors may provide you with best practice advice or strategy toolkits, but the responsibility for success lies solely at the feet of the customer organization to both invest in and execute upon a well thought out social business strategy. A key part of that strategy must include investing in both community management and a strong community advocate program. But to date there was very little training to help someone manage a community well. With the explosion of social business and community management, it became clear to many of us that a new set of skills, competencies and language was required. Many, like myself, had approached Rachel Happe of The Community Roundtable asking for resources and wondering whether it was time to start creating and promoting a standard of excellence of our own for Community Management. 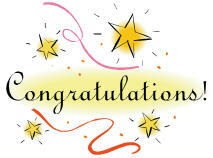 Well now the hard work of Rachel Happe, Jim Storer, and other members of The CR has finally paid off. Do you think you’re a Social Business Guru? Prove it. Are you leading a social business initiative for your enterprise? Have you been on this journey for a few years and realizing you’re beyond the “how do I measure adoption” phase? Are you looking for more advanced topics, ones that only experienced social business evangelists face a year or two into their social business journey? If you’ve answered “Yes!” to the questions above AND if you are a Jive Customer then the “Social Business Guru” Track at JiveWorld 2011 is for you in Las Vegas, October 4-6, 2011. Each session will feature a deep dive not just on one, but on two customer case studies. But that’s not all, each session will end with a rapid fire breakout/workshop session, giving attendees time to discuss an advanced topic with their peers to exchange new ideas and advanced approaches to key business problems. I’m excited to help bring this new customer advanced track to JiveWorld this year with my Jive Software partner, Gia Lyons. So if you’re a Social Business Guru, and you’re wondering ‘WIIFMA” (“What’s in it for me: Advanced”), then PROVE IT. Join this track to learn and share your experience with your peers! If you’re a “newbie” at your social business journey, don’t forget to sign up for JiveWorld’s Boot Camp, a one-day dedicated workshop for Jive prospects beginning your journey. Come listen to myself and other Jive customers share key strategies you will need for success! I’ve had the pleasure of meeting AIIM’s Jesse Wilkins and the fabulous Andrea Baker in the last year. And I’m excited they’ve invited me to participate in AIIM’s Virtual Social Business Conference coming soon on September 8, 2011. When it comes to deploying social collaboration tools for the enterprise, you hear you can’t plan to go viral. But you can’t go viral if you don’t plan well. And how do you ensure that when you build the environment, your users will come? Register to join this virtual conference and learn how CSC got beyond the “Field of Dreams” and went viral with their industry award-winning adoption practices for its employee community titled “C3: Connect. Communicate. Collaborate.” I’ll also share a glimpse at our expanding social business strategy, bringing state of the art collaboration capabilities to our eco-system of customers, partners and prospects. For more information, visit AIIM’s Social Business Virtual Conference page, or register now! As some of you might know, my day job at CSC focuses on our social business strategy. Two years ago today, my day job hit a great milestone, the day we launched our C3 employee community in pilot. That was the date we launched our C3: Connect. Communicate. Collaborate. pilot to CSC employees. This pilot was limited in duration (six months) but not in audience (all employees from all business units or geographies could opt in if they wished). We launched the pilot as a strategic move in validating our business case and testing our adoption practices. By pilot launch 100+ global advocates, who had been our strategic planning partners, helped us seed over 200 groups and business use cases in the platform. That pilot proved to be wildly successful. In just 20 weeks, 25,000 employees opted-in and registered in the pilot and helped us expand the groups to over 2000 groups. We were watching our metrics prove how successful the pilot was, we were hearing stories of how it was providing business value to our global teams and we were hearing stories of how the platform was winning employees hearts and minds. Today we have over 88K+ registered users, a 69% monthly active engagement rate and over 10K+ groups in our environment. We completed a platform consolidation project just this past January and are about to launch new projects to extend our business use. Our success with the employee community has led to the launch of a formal community program which has been extended to other aspects of our eco-system. Kudos go to so many involved in the project, both business leads, technical architects and the far too many to name list of over 100+ global advocates who helped us fuel the success of our platform. C3 meets all kinds of business goals by account teams, global communities, solution developers, project teams, learning professionals as well as executives and business unit for communication, collaboration and strategy alignment. We are amazed every month at the new business use cases our employees envision every day. I’m sure many of you have similar success stories as well. What are yours? Looking for a Community for Community Managers? If you’ve ever been part of an active, healthy community online, you know what a valuable experience it can be. If you’ve ever led or managed an online community, you know what a challenging and rewarding experience that can be. What if there were an online community where anyone working in or interested in community management and development could find supportive peers, expert advice and a wide array of educational and professional resources? It seems natural, even obvious, that community management professionals should be able to form an exemplary community of their own. Well now we have with the recently launched The Community BackChannel. What is the Community BackChannel? Announced on May 1, 2011, The Community BackChannel is a community of peers focused on the management and development of online communities. It’s a no-fee, non-profit private group founded by four community management professionals: Claire Flanagan, Ted Hopton, Megan Murray and Jamie Pappas. The Community Back Channel is a group of online community professionals where ideas are shared openly, help is freely given, and supportive, collegial relationships are forged. 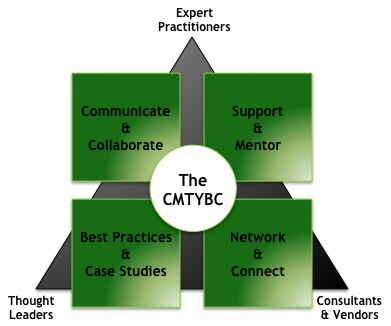 Why A Community for Community Managers and Practitioners? We believe it’s important to advance the art and practice of community building by gathering active and engaged people together in a vibrant, trusting, no-sales-zone where we can learn from each other and from the experience of participating in a model community of our own. The Community Back Channel exists to serve practitioners, people who are actively involved in building communities. The exchange of ideas and experiences, the surfacing of issues and problems and questions, the peer-to-peer support, and the development of professional relationships among practitioners creates the greatest value within our community. We also recognize that advancing the knowledge in this field relies on the delicate balance of conversation, interaction and engagement with thought leaders, experts, consultants and vendors. We hope to foster this healthy and balanced exchange in a “no-sales-zone” which benefits the entire community. We strive to share our knowledge and understanding outside of our group whenever it’s appropriate to do so without compromising confidentiality. The Community Back Channel is interwoven with other groups involved in community building, and our many of our members are leaders in public conversations about communities. If you’re interested in joining our more than twenty charter members, then check out our full vision and mission, and see whether you qualify for membership. And be sure to follow us on Twitter @cmtybc. 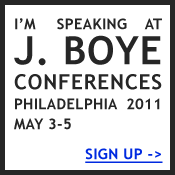 I will be speaking at J. Boye’s third North American conference in Philadelphia this May 3-5, 2011. Billed as an idea sharing summit for web and intranet professionals, this conference promises to provide a fantastic learning and networking event for online professionals. In considering this event, I was immediately impressed with the simultaneously high focus on case study content and social events to enrich the networking experience. I’ll be participating in two sessions. Join my colleague, Megan Murray and me as we provide a practical framework for socializing your intranet. Enterprises are increasingly evolving their intranets into state of the art social business collaboration platforms using Enterprise 2.0 technologies where employees can locate expertise and assets, engage and interact, and co-create and collaborate along work topics. Wikipedia defines Enterprise 2.0 as “the use of “Web 2.0” technologies within an organization to enable or streamline business processes while enhancing collaboration – connecting people through the use of social-media tools.” This workshop will arm the practitioner with a working definition of social business collaboration while providing practical advice for making the business case for change, planning for deployment and adoption, deciding on community models and governance, planning for education and measuring success. Join me on Thursday as I shared CSC’s Case Study in deploying social business tools for our 93,000+ employee community. When it comes to deploying social collaboration tools for the enterprise, you hear you can’t plan to go viral. But you can’t go viral if you don’t plan well. How do you ensure that when you build the environment, your users will come? Come learn how CSC got beyond the “Field of Dreams” and went viral with their industry award-winning adoption practices for its employee community titled “C3: Connect. Communicate. Collaborate.” Finally, this session will conclude with a glimpse on how CSC has begun extending social business capabilities to its eco-system. For more information about the session context above, check out “A Successful Social Business Strategy: It Can be Done“. Be sure to sign up, if you haven’t already. So you have a shiny new iPad? More and more of my friends and colleagues either have iPads or just received one from Santa. I’ve only had my iPad since late October, and I’m already hooked. I keep discovering new things I can do. While many iPhone apps will work on the iPad, the best apps are ones designed for the iPad, ones that really optimize the display and the UI of the iPad. So I thought I’d list out a few of my favorite apps to share with my friends when they get their brand new iPads. I’ll close this blog with a list of blogs from Luis Suarez who maintains a “Top iPad Apps of the Week” blog. I know a few friends who have left their laptops at home and have solely traveled with their iPads. With a few office productivity tools, it’s possible to access files, create and edit files. I even know someone who will run their conference presentation off their iPad. Here are a few pointers to get started. Documents to Go. Edit or view your MS Office files using the iPad app. Again, you’ll pay a little for this app. Pages, Keynote and Numbers (Apple productivity suite) all have apps optimized for the iPad display. You will pay a little (under $10) for these apps, but well worth it. Evernote. Create and edit notes on the fly. As of this writing Facebook and LinkedIn do not have true iPad apps. 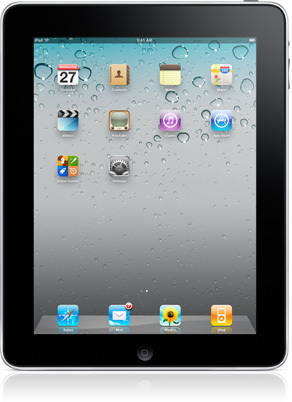 You can always use the iPhone app versions on your iPad, but know that the interface is not optimized for iPad display. Here are a few social apps I do like. Friendly for Facebook. Again, as of this writing, Facebook does not have a true iPad app for Facebook. Friendly fills the niche nicely. Twitterrific, TweetDeck or Twitter. Twitter apps all for iPad. To be honest, I haven’t decided which one I like better. Much like the iPhone versions each has its own strengths and weaknesses, so I keep and rotate using them all. WordPress. If you have a WordPress.com blog, you’ll be happy to know you can manage your blog from the iPad app as well. BeeJiveIM. A push IM app for the iPad. This is not a free app, though, and it’s quite pricey as far as an iPad app goes. But you can use it to aggregate your multiple IM accounts (gtalk, MSN, Facebook) into one interface. Flipboard. Think of this as your personal dashboard feeding you social updates and news. The great thing about the iPad is that it doesn’t care where you want to buy your books <grin>. Forget the Kindle vs. Nook vs. Sony eReader debate. You have an iPad, right? Buy whatever book, from where ever you want. Just download the right app and you have access to your collection from your device. Kindle for iPad. Read your Amazon Kindle collection right from your iPad. Watch it sync nicely between your iPhone, Mac, or PC apps if you read on the other devices. Nook for iPad. Barnes and Noble also has their eReader app optimized for the iPad and other devices. There are tons of apps for this category, but here are a few I have loaded on my iPad. WindowShop for Amazon. Nice way to browse all of Amazon with UI of the iPad. Fandango. Access movie news, times and theatres of course! Angry Birds (Regular and Seasons). If you haven’t tried this game out yet, be forewarned, it gets addictive. Cut the Rope. This one requires thinking and dexterity to feed the hungry “om nom”. Monopoly for iPad. Why would you need the game board version after this? You’ll pay for the HD version, though. And I just came across this post of top 40 Apps at OnlineColleges.org. Do you own an iPad? If so, chime in below with your favorites.